InfoComm International and the retail and hospitality brands of ST Media Group International announced the formation of a strategic partnership to demonstrate how integrated AV experiences can generate better business outcomes for brands in the retail and hospitality channels. ST Media Group International’s retail and hospitality group includes VMSD and Boutique Design magazines, the annual International Retail Design Conference (IRDC), as well as the BDNY and BDwest trade shows. Components of the partnership include speaking engagements, editorial roundtables, trend reports, end-user spotlights, the presenting sponsorship of the 2017 VMSD IRDC conference and the 2017 Boutique Design BDNY trade fair tech session presentation. 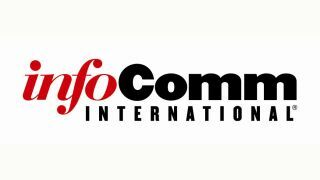 Editors from VMSD and Boutique Design will also participate in design-focused seminars at future InfoComm events.